Indonesia’s Ministry of Marine Affairs and Fisheries (MMAF) has been a key partner since CSF Indonesia was established in 2016. Late last year, we signed a memorandum of understanding with the Agency for Marine and Fisheries Research and Human Resource Development at MMAF as an umbrella agreement for current and future activities on capacity building and analysis. Under this agreement and as part of our ongoing engagement with the DG of Fisheries Competitiveness, we are holding a Policy Makers Workshop on Economic Tools for Marine Conservation and Sustainable Fisheries, in Bandung, West Java March 25-30, 2018. 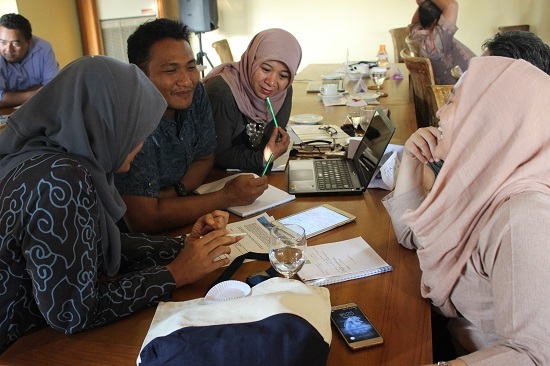 The training is designed to equip policy makers and leaders with a strong foundation in economics that will enable them to plan and implement more effective policies critical to future marine resource management in Indonesia. Specific issues that will be addressed include understanding the economic drivers of fisheries problems, the pros and cons of various regulatory approaches to fisheries management, co-management in fisheries and marine conservation, investment in fisheries and conservation finance, marine spatial planning, and valuation of fishery and coastal resources. For this workshop, CSF is forming a joint committee with the Agency for Marine and Fisheries Research and Human Resource Development (BRSDM) based in Jakarta. BRSDM is the Ministry’s think tank responsible for providing strong analytical data as a basis for efficient policy formulation of marine resource management in Indonesia. We anticipate 30 participants to join this training, primarily those in technical roles across various departments within the Ministry. Instructors and expert presenters will be drawn from CSF, MMAF, and Bogor Agricultural University. Stay tuned to hear more about this training!